Last year, I went to Kuan Yin Vegetarian Restaurant in Section 17, Petaling Jaya with my family to lou sang during Chinese New Year. Read it HERE. This year, we went there again, but it was before the Chinese New Year. 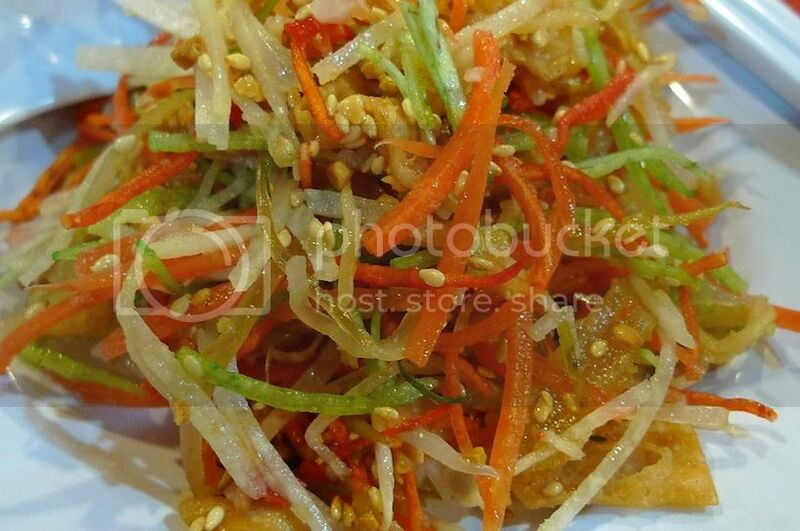 Most Chinese restaurants sell yee sang way before the New Year, and this vegetarian restaurant is no different. We started out with yee sang. I have always liked the yee sang here. 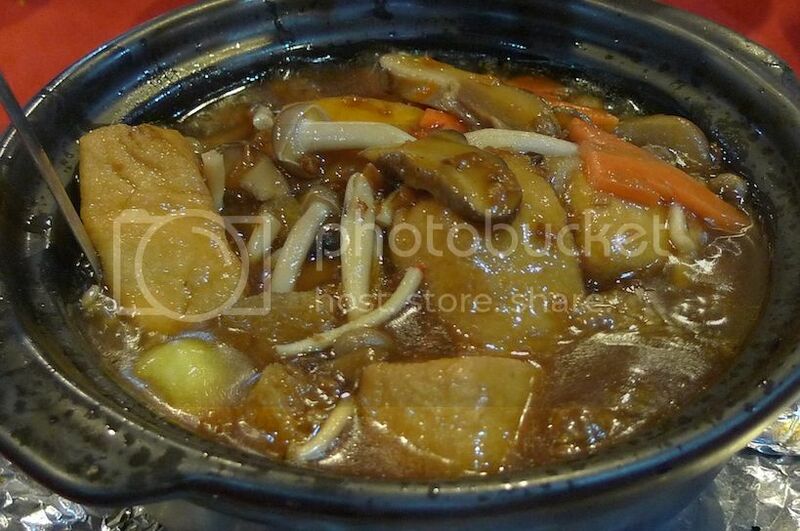 Next we had ku lou yuk (sweet and sour fragrant meat) which is my favourite dish there! Of course, it's not real meat since this is a vegetarian restaurant. 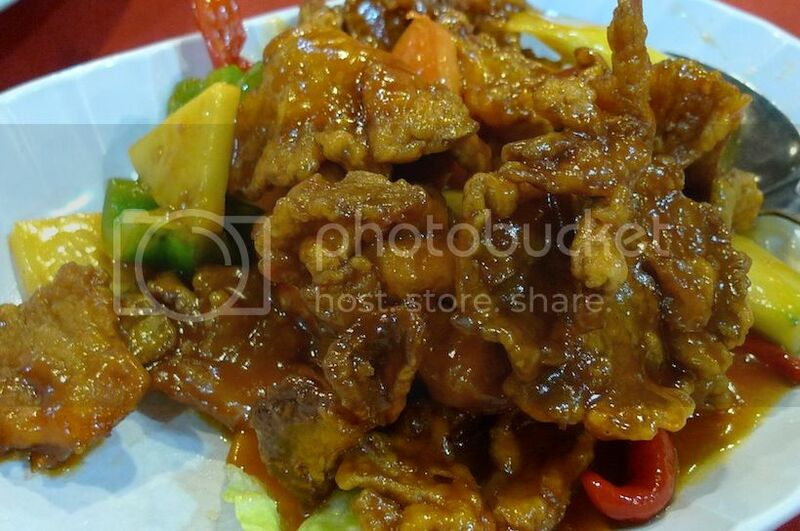 Crunchy 'fake meat' in sweet and sour tomato-based sauce and bits of pineapples are really heavenly! I know I have said before that I do not like to eat vegetables pretending to be meat, but this is an exception. This one is my brother's favourite. It's called fatt put (yam basket). 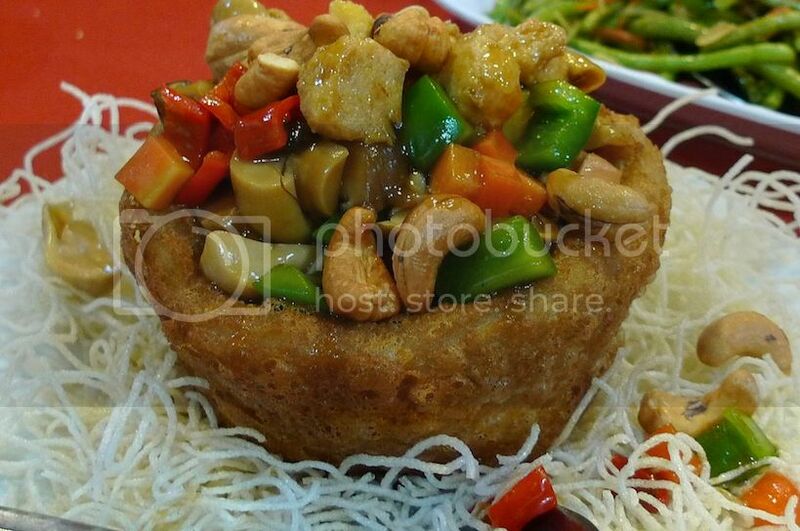 All those mixture of nuts and vegetables in the yam basket sure looks appetizing! This is a new dish recommended by the restaurant boss. I have forgotten what it's called but it's basically tofu in herbal sauce. It was delicious! Slather the herbal sauce all over your rice and you can't go wrong! 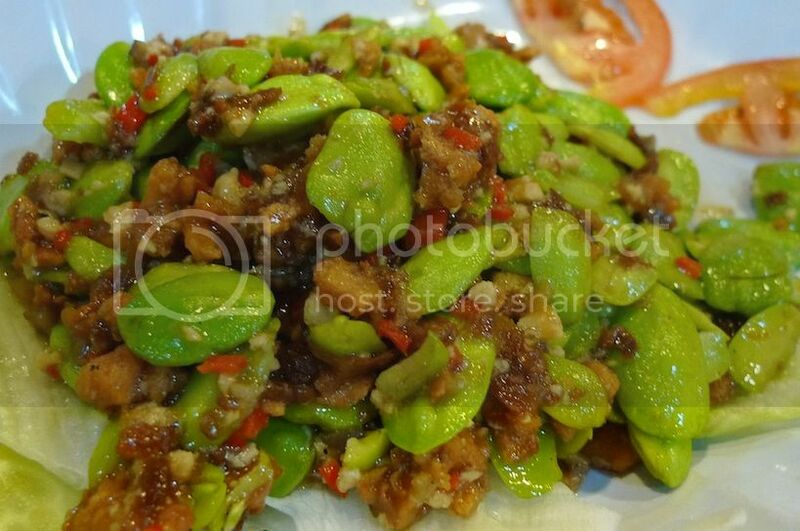 I love to eat petai beans and so we called a petai dish. What do you call petai in English? Stinking beans? Bitter beans? Whatever you called it, this dish was yummy! I wish I can eat this everyday! 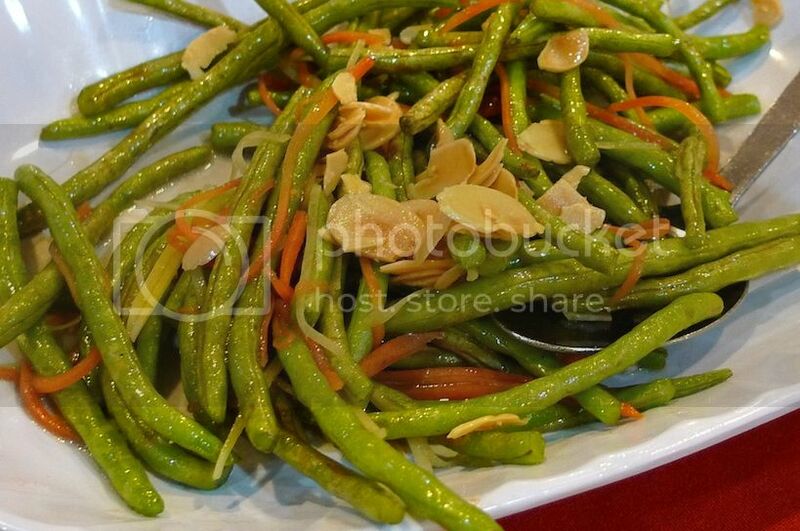 Lastly we had this - are they called long beans? I love this dish too! I really have no complaints about the food here. Even though I don't fancy vegetarian restaurants, I have to say I don't mind eating at Kuan Yin Vegetarian Restaurant!